This sounds like a good book. I especially love the cover. Thanks for reading! Yes, the cover is fabulous. I loved this, much more than the other two Patchett novels you’ve mentioned. Her nonfiction is also excellent (Truth and Beauty, and This Is the Story of a Happy Marriage). I’d like to pick up This Is the Story of a Happy Marriage, but I should probably read the other two books I have, right? That would be very conscientious of you 😉 Alternatively, you might like to use her nonfiction as a palate cleanser between novels: Happy Marriage is a set of autobiographical essays. One in particular will reveal to you some of the inspiration for Commonwealth. I haven’t read any by her either (although have Bel Canto because it’s someone I knows favourite book plus it has been made into an opera!) – as soon as I read the blurb for Commonwealth I knew I wanted to read it. Exactly my thing. Your mention of gin in the opening just seals the deal! (As an aside, the person I know who loves Bel Canto didn’t love Commonwealth!). That is so cool about the book being turned into an opera (I love opera). And yeah, the gin and juice combination in the first chapter made me very, very thirsty, especially given how hot it’s been here. Sounds like a great read 🙂 It’s not easy to write a story about different characters over many years, so when it’s done right it’s really worthwhile. Totally agreed. Thanks for reading! Just ordered it. The second of your recent recommended novels in my pile! 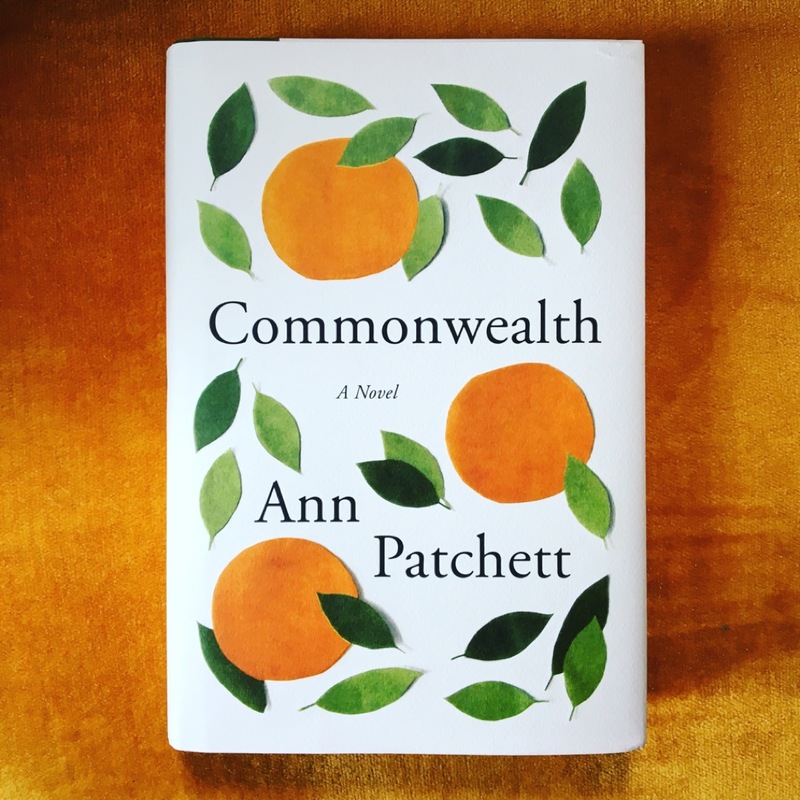 I haven’t read Commonwealth yet, but I usually love Patchett. State of Wonder is really wonderful. I read Bel Canto many years ago and I also liked it, but I have a review for State of Wonder on my site somewhere, and it was one of my best books of the year. Noted and logged. Thanks Kay! I love the orange-y colours on your post today! Wow! Okay, then when I swing around to Patchett again I’ll start with Bel Canto, palate cleanse with Happy Marriage as Rebecca suggests, and then try Kay’s favorite, State of Wonder. Thank you! I haven’t read her either. There’s a lot of American women authors I’ve been putting off for whatever reason. I finally got to Louise Erdrich and was like, why did I wait? I bet I’ll feel the same way about Ann Patchett . LOUISE ERDRICH. Oh goodness. I love, love, love her. A kiss that unravels two families. It’s never just the kissers who suffer from those bad decisions, is it? Thank you for an excellent review, as usual. But maybe I’ll read Happy Marriage instead. Nope, it never is, as this book makes abundantly clear. I read and loved Truth and Beauty and highly recommend it. I’ve been meaning to get into her fiction proper… maybe Commonwealth will be my first! 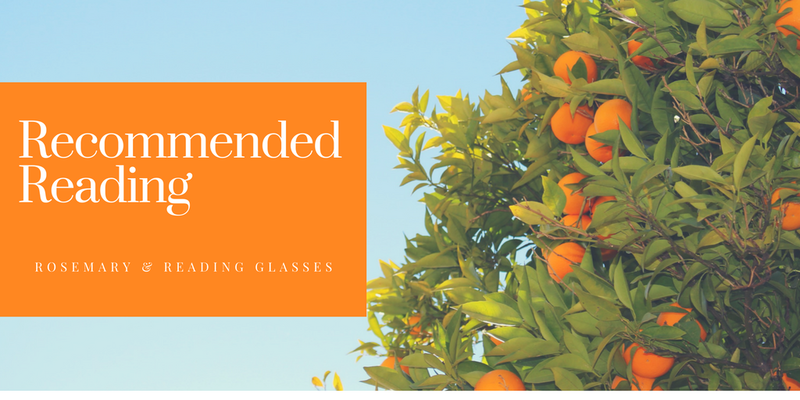 I have learned from this post that everyone loves Ann Patchett and has a different favorite!